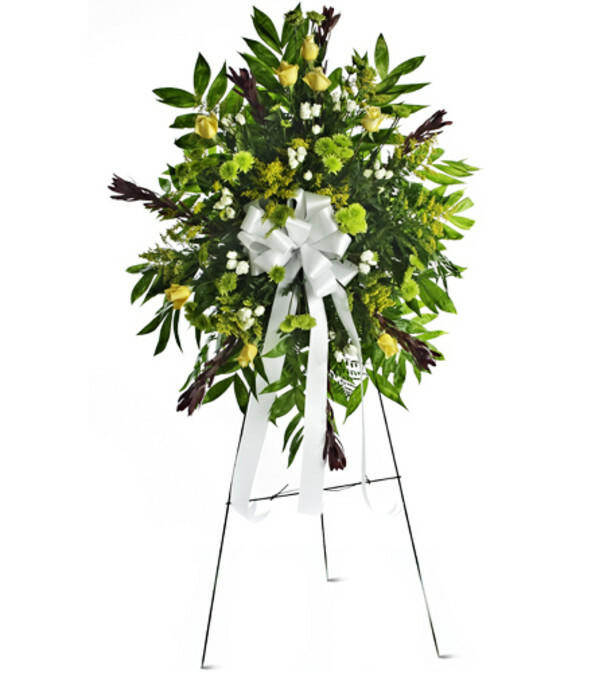 This fresh, green and yellow arrangement is an ideal way to express your sympathy and support during difficult times. 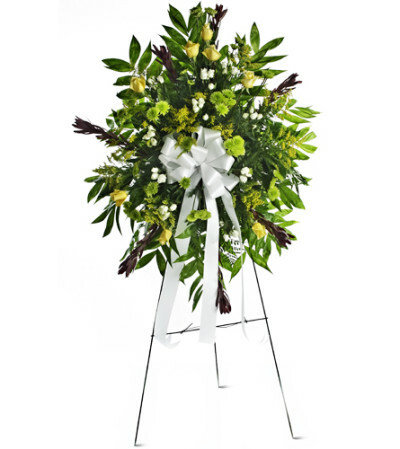 It's a lovely way to celebrate the life of anyone who loves nature and the outdoors. 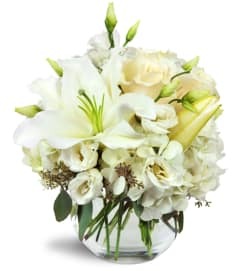 Yellow roses, white spray roses, green poms, and more are arranged as a standing spray. Appropriate to send to the funeral home or church. She lived the flowers and they ate beautiful! I ordered a fruit basket for our son who had recently undergone surgery. The basket was delivered the same day, and our son was very happy with it and so were his children who were happy to share! 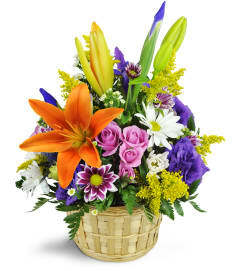 Rancho Duarte Florist is a Lovingly Florist in Duarte. Buying local matters. Discover how Lovingly supports local florists. Copyrighted images herein are used with permission by Rancho Duarte Florist.